Of all the initial public offerings in 2017, Snap Inc (NYSE:SNAP) was arguably the most anticipated. In the immediate aftermath, those who speculated on Snap stock were handsomely rewarded. On its second day of trading, SNAP hit an intra-day high of $29.44. Unfortunately, the optimism was short-lived. The markets quickly pummeled shares, ultimately sending them below the IPO price. But after flirting dangerously close with single-digit territory back in August of 2017, Snap stock appears to be recovering. I must say, it’s not the most convincing of comeback efforts. However, InvestorPlace chief technical analyst Serge Berger noted that SNAP is “showing signs of life.” Shares had an opportunity to hit new lows; instead, they’re so far charting a series of higher lows. Some analysts have the opinion that the worst is behind SNAP stock. Last month, Barclays upgraded its assessment on SNAP from “Equal weight” to “Overweight.” While most covering analysts are still on the sidelines, the fact that they’re on the sidelines is significant. They could be outright bearish on the company, but they’re holding out hope for a reversal. Additionally, retail investors could collectively decide that most of the initial risk is baked into the current SNAP stock price. Last year, Twitter Inc (NYSE:TWTR) enjoyed a phenomenal run after years of disappointing performance. Return-hungry speculators might look to SNAP as the next big social media play. It’s a compelling circumstance. However, we should also consider that we’ve seen this before from Snap stock. Management isn’t known for making solid decisions. The company also trails badly behind industry leader Facebook, Inc. (NASDAQ:FB). Not only that, Facebook could easily duplicate Snapchat’s core functions and features. So which SNAP will ultimately show up? Although the bounce up from last August’s spike bottom is impressive, Snap stock is not yet out of the woods. As I previously mentioned, we see higher lows. Unfortunately, we’re not seeing higher highs. Since bottoming out, the highest close for SNAP stock is $16.55, which occurred on Oct. 12. Subsequent attempts to reach that level in mid-December failed. If I were judging SNAP strictly on this pattern, I wouldn’t call this recent failure a deal-breaker. However, it’s not quite a bullish trend channel. For that, we would need to see higher lows and higher highs. Since the technicals in my opinion are somewhat vague, we must consider fundamental factors. One of the top catalysts for the company’s Snapchat application is that it caters to youth. Among teenagers ages 14 to 19, Snapchat is the most popular social media network. Understanding this dynamic, several companies, including Taco Bell, which is owned by Yum! 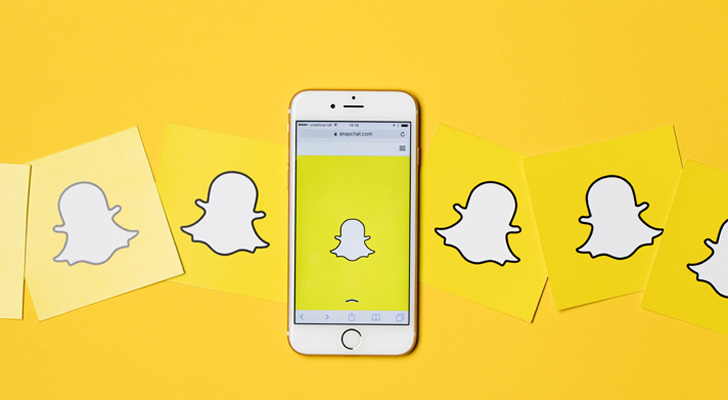 Brands, Inc. (NYSE:YUM), and Starbucks Corporation (NASDAQ:SBUX), have used Snapchat to advertise their businesses and special sales promotions. For these and other organizations, utilizing Snapchat is a shrewd move. Namely, they’re able to get more bang for their advertising buck than using Facebook. But SNAP catering to youth is a double-edged sword. When I look at the top brands utilizing Snapchat, they’re largely fast-food or fast-casual outlets. Again, I can see why McDonald’s Corporation (NYSE:MCD) would benefit from the relationship. It’s a cheap burger joint that won’t break a young millennial’s bank account. AT&T Inc. (NYSE:T) and General Electric Company (NYSE:GE) on the other hand? I don’t see the long-term benefit. These iconic blue-chip companies have used Snapchat in the past to promote special events. But how long the positive impact will remain is a big question. As I’ve mentioned in prior InvestorPlace articles, Snapchat is a demographic pit. Once young people grow out of SNAP, they invariably move to Facebook. So yes, Snap stock can rise higher from the social network’s advertising business. At the same time, the companies taking advantage of its advertising services are not necessarily enjoying a great deal. Facebook and other platforms may be more expensive, but the reach is much more expansive. Cornering the youth market is impressive in that this demographic is fickle. The problem, though, is that they’re financially challenged. The heart of the young demographic is the mid-20s to early 30s crowd. These are the folks that are young enough to be young but are able to fork over serious cash. Sadly for Snap stock, that demographic is cornered by Facebook. Article printed from InvestorPlace Media, https://investorplace.com/2018/01/snap-stock-will-be-a-disappoint-in-2018/.